2018 is well on it’s way and we are in the middle of February. 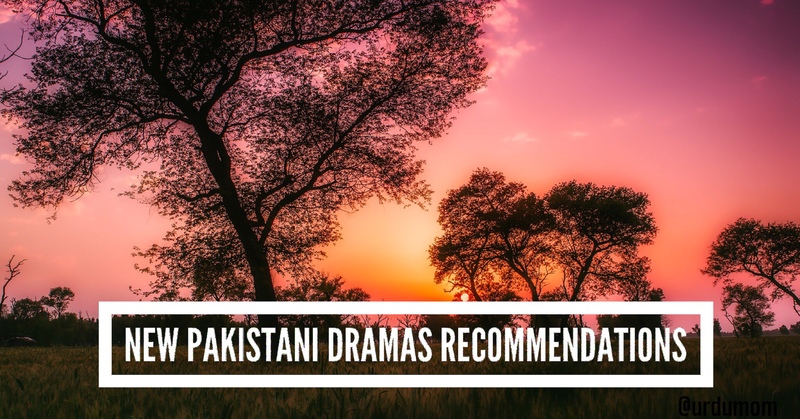 Sharing a few Pakistani dramas recommendations from the new ones on air these days that I’m enjoying, because this is a question I’m asked a lot! Aangan is an amazing drama that shows us a big family with characters of all sorts and beautifully highlights social issues in a hilarious manner. I love Aangan for the laughs and the characters we have all grown fond of such as Hajra bhabi and Aba jee. Akhri Station is a hard-hitting, brilliant production that reminds me of the nostalgic amazing quality of Pakistani dramas of yore. The series is written by Amna Mufti and directed by Sarmad Khoosat and has an equally impressive cast. This is no light watch and you will be left with a heavy heart and a barrage of emotions. However, it’s so brilliantly done that you can’t help but keep watching. Only episode one has been aired so far, so many more to come! The Manto drama airing on Geo TV these days shows us the times and trials of Sadaat Hassan Manto, the famous urdu writer. Sarmad Khoosat immerses himself in the role of Manto and the story has the same ups and downs as in the life of the actual hero of the story. Noor ul ain staring Imran Abbas and Sajjal Ali and directed by Sarmad Khoosat has made a promising debut with the first episode. I love the sound track and excited for a romantic story, plus the role of Iffat Omar as a young-at-heart wife taking care of a bed-ridden older husband has me intrigued! I’m adding Ghughi as a tentative addition here because I did not like the first episode but tuned in to the second episode because of all the buzz around the drama. It’s an interesting story so far of a pre-partition era but it’s hard to accept Adnan Siddiqui in the lead role. The story is inspired by the Urmila Matondkar and Manoj Bajpai 2003 film Pinjar. I still have to see that film and see more of this drama, but it finds it’s spot in new Pakistani dramas recommendations for me. Are you following these dramas? Which one would you add to this list? Do watch Khudgharz starring Amina Sheikh. Thanks for the recommendation! Will check it out! Dar si jati hai Sila. That one gives me nightmares. Couldn’t get around to see it but great and much-needed topic! I am already watching anghan,watched half episode of noor ul ain and was planning to start akhri station.now as u suggested i am thinking to watch ghughi as i like adnan siddiqui….also khudgarz and nibah are also good dramas going on.both of them are starring aminah sheikh and i love her…that was the reason i started those dramas and they turned out good ones. Thanks for the suggestion! Will check those out! What a nice page. Thank you for all the recommendations.